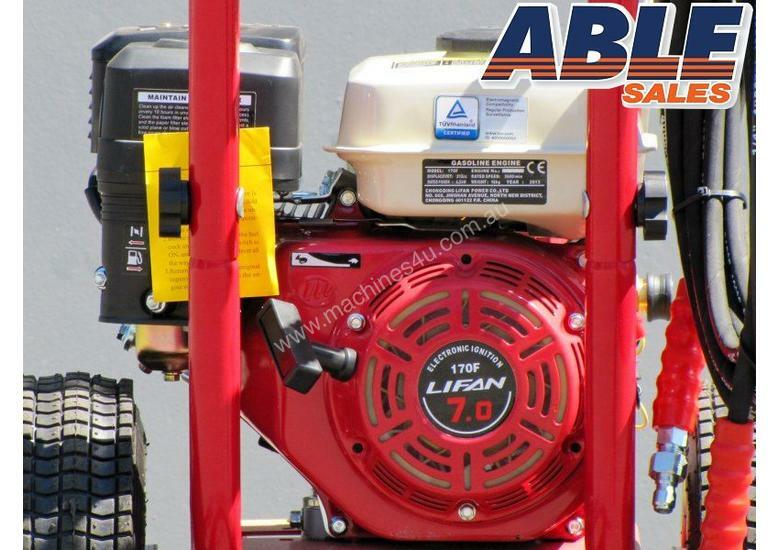 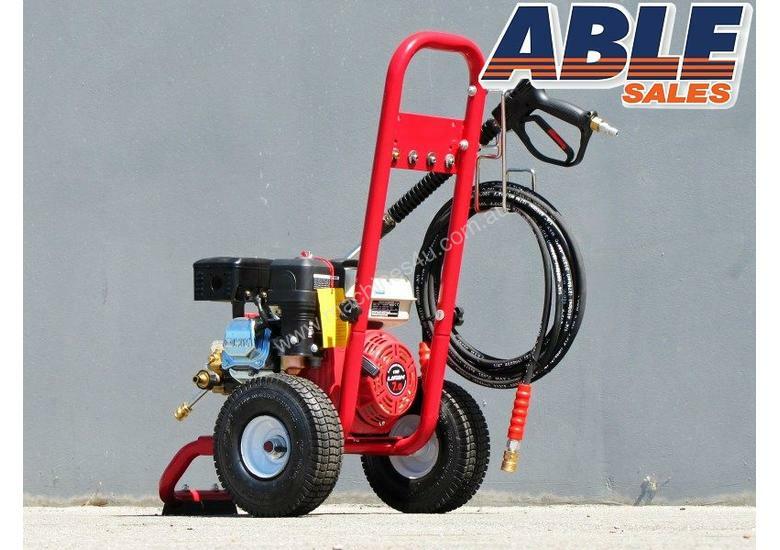 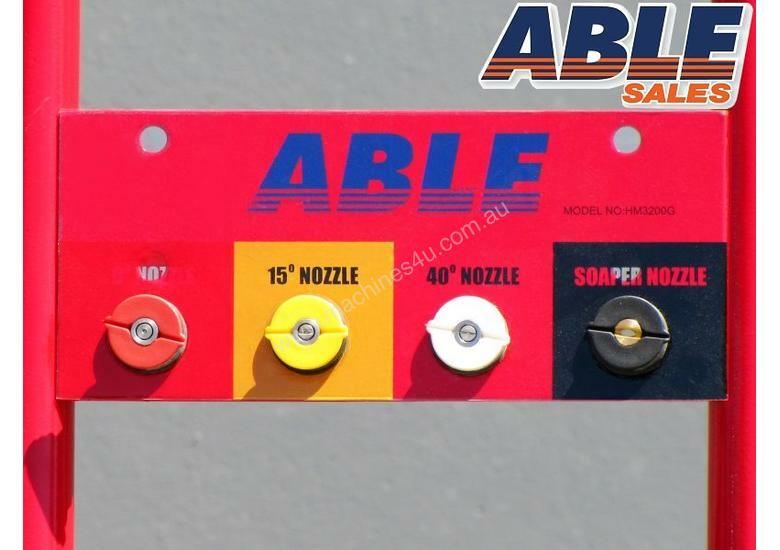 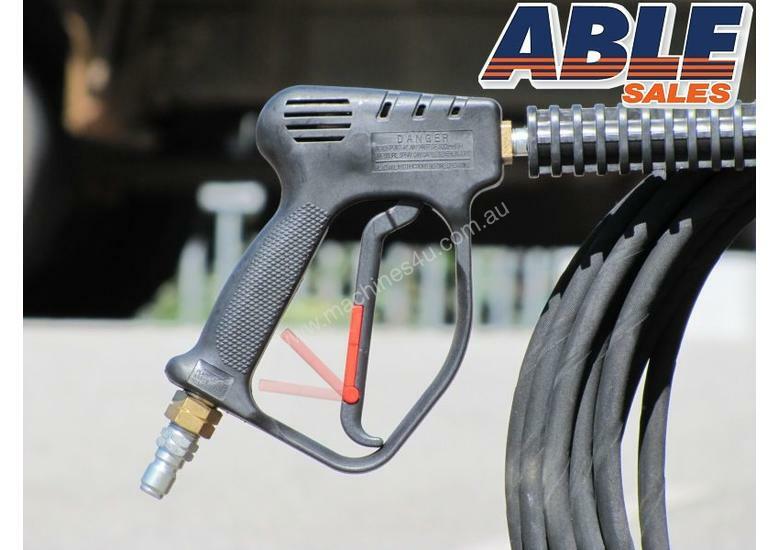 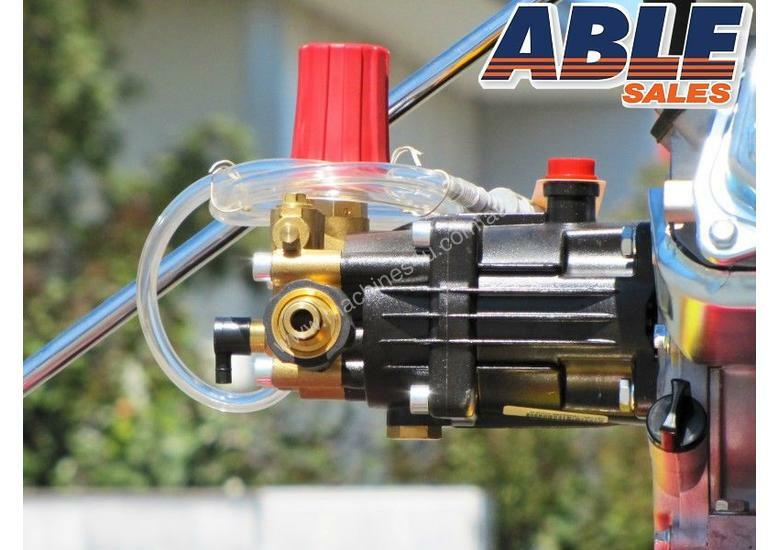 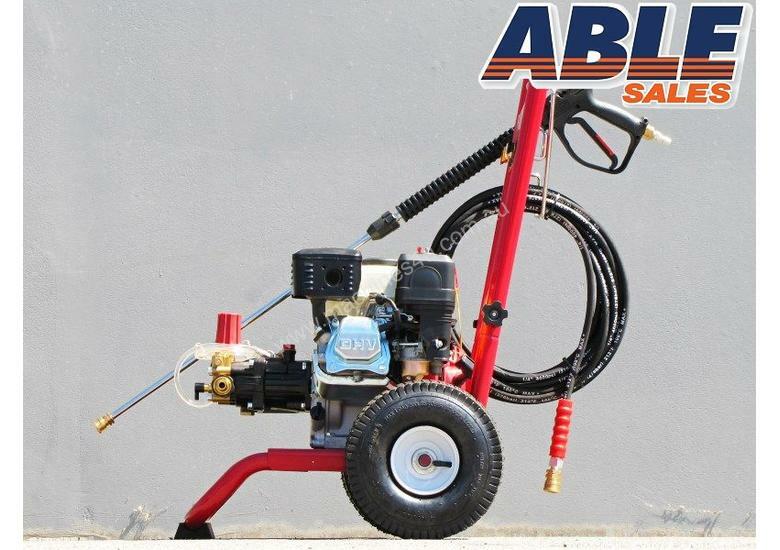 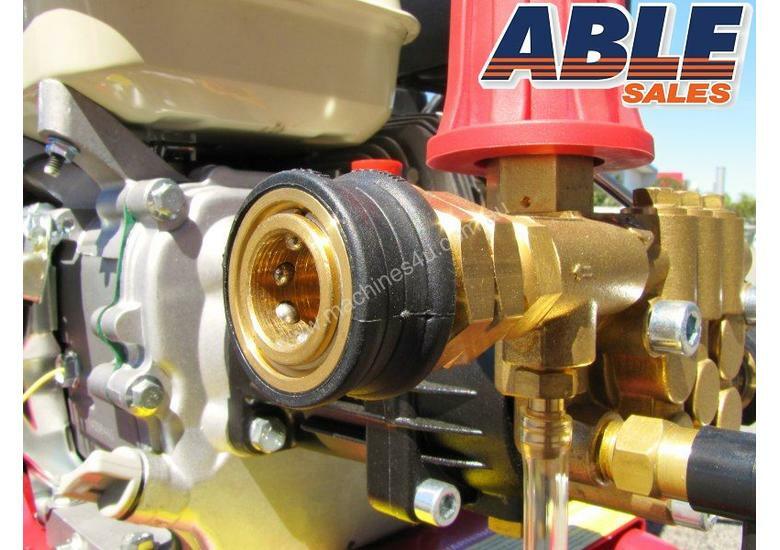 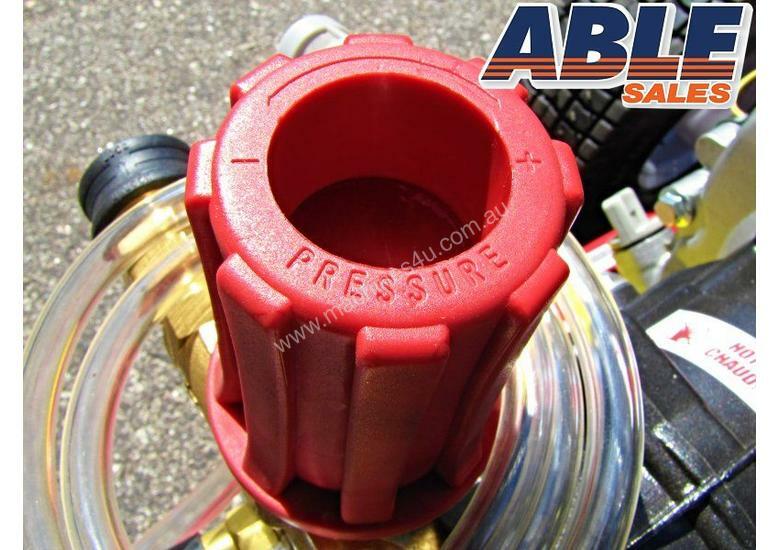 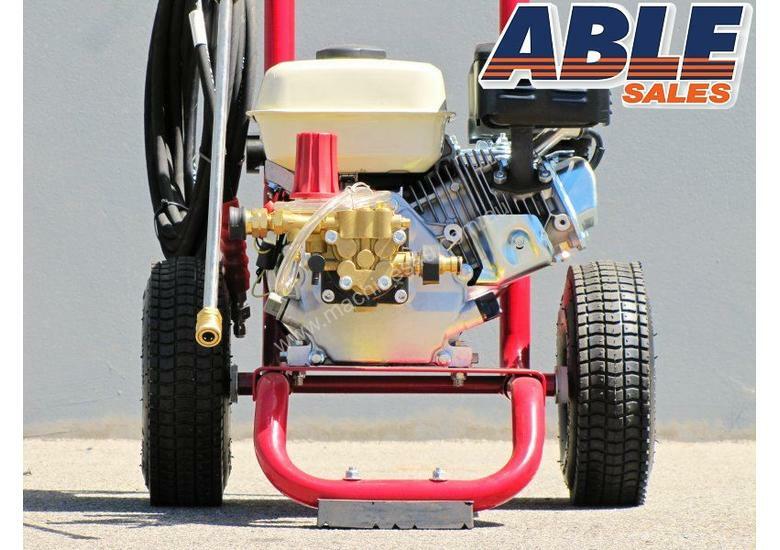 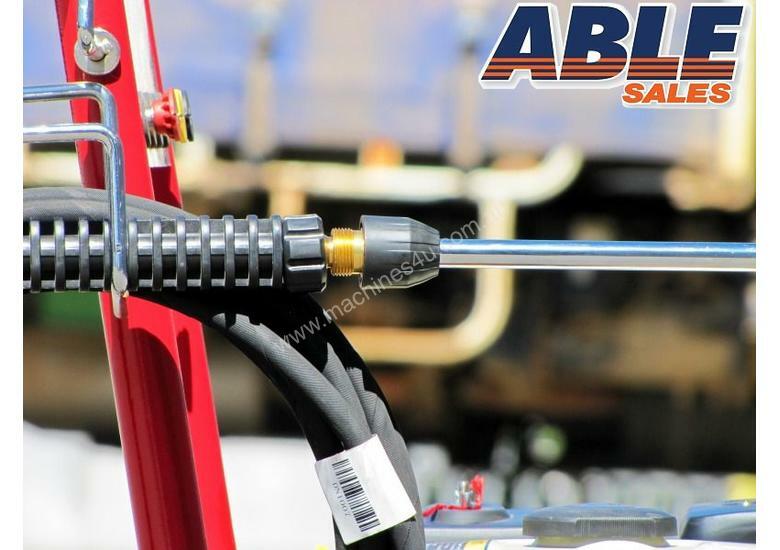 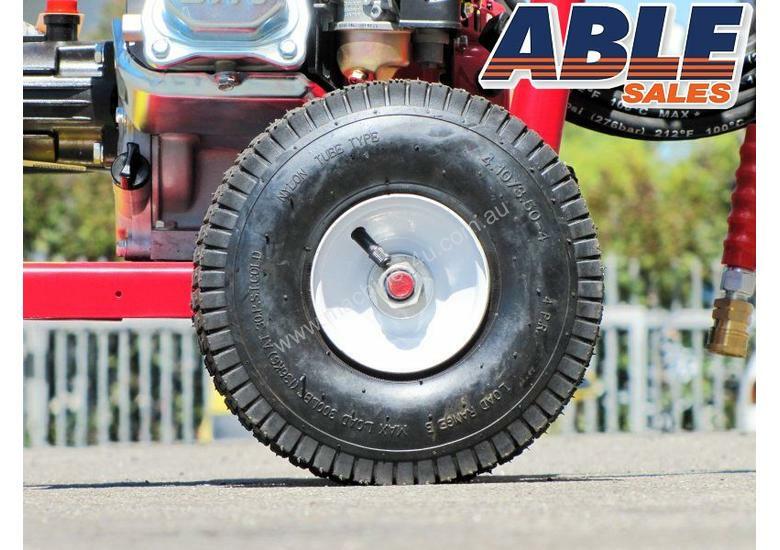 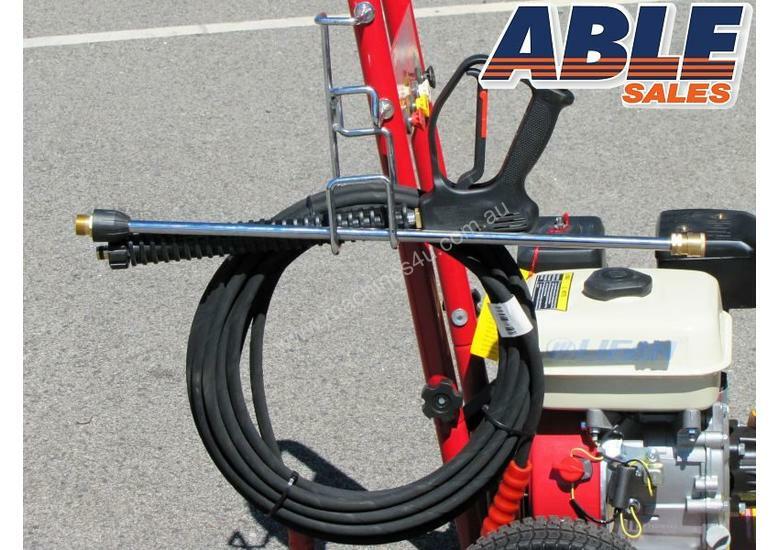 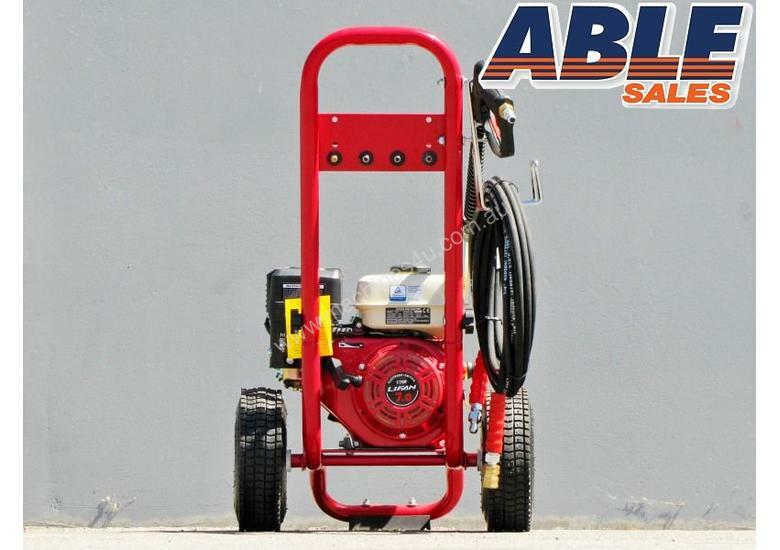 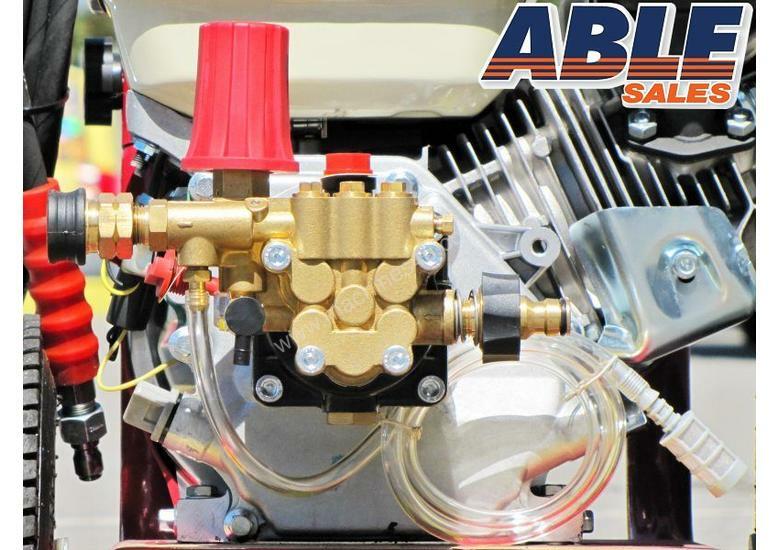 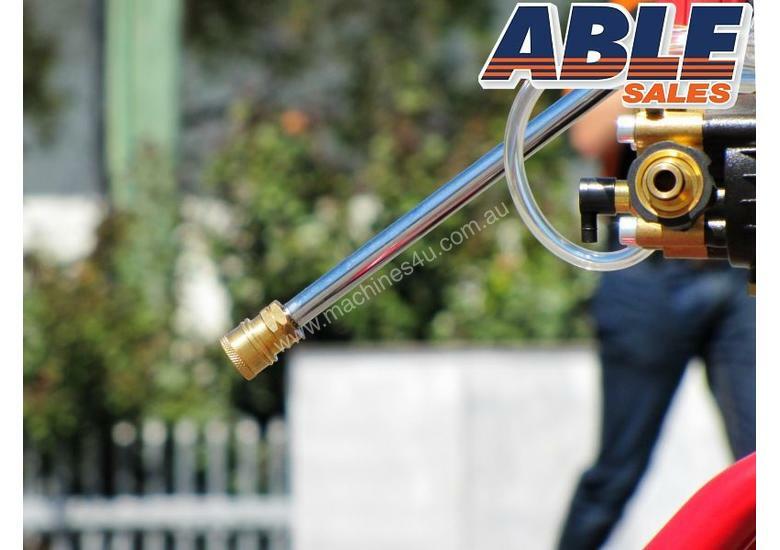 The pressure washer unit is exported around the world and now available from us at Able Sales. 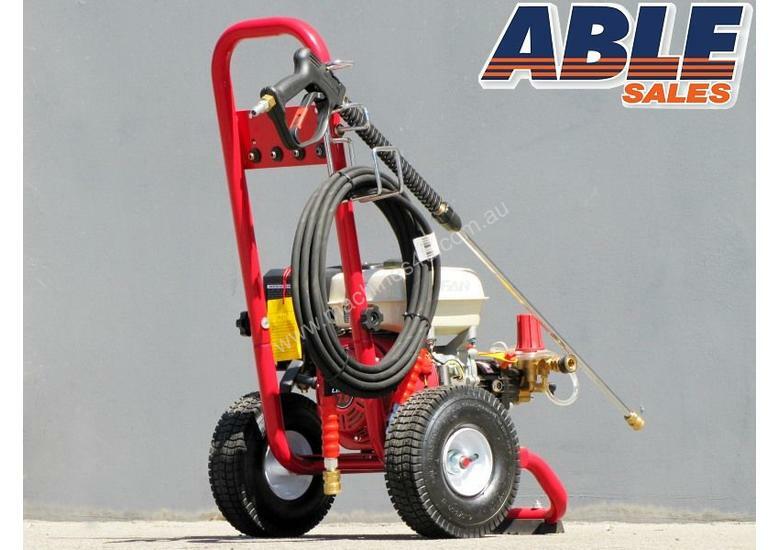 The pressure can be varied easily and quickly by the throttle control to give a varied pressure form a light wash down to a narrow focused pencil jet type spray. 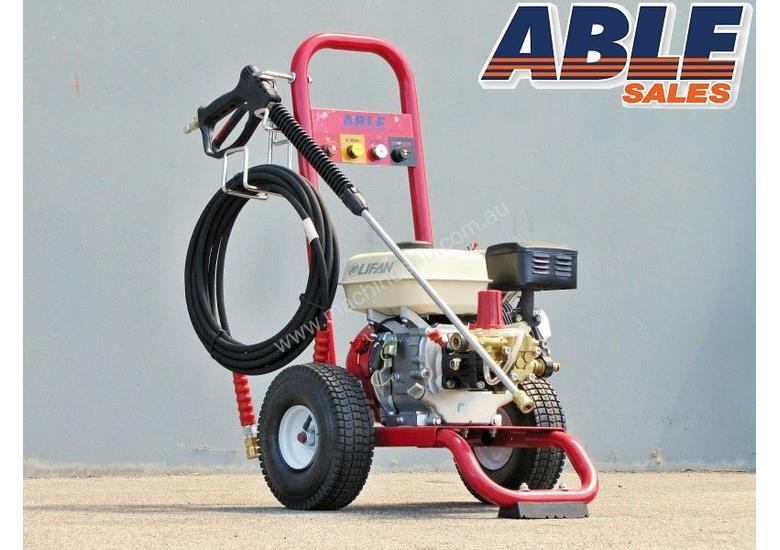 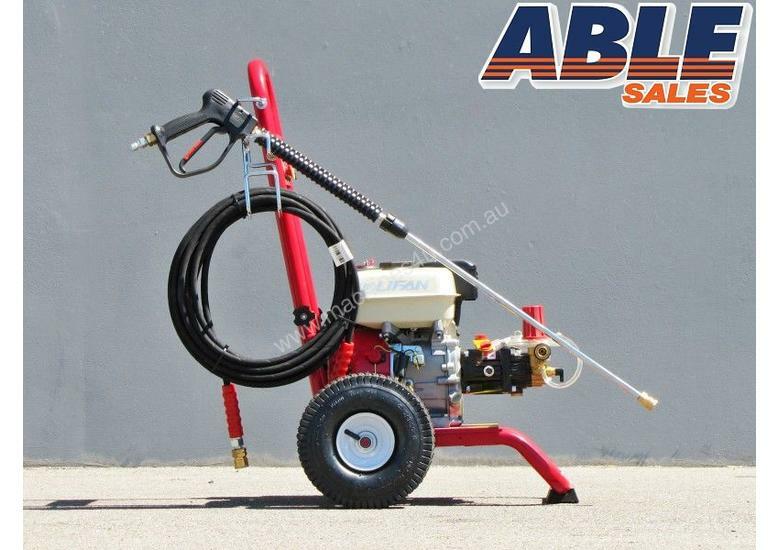 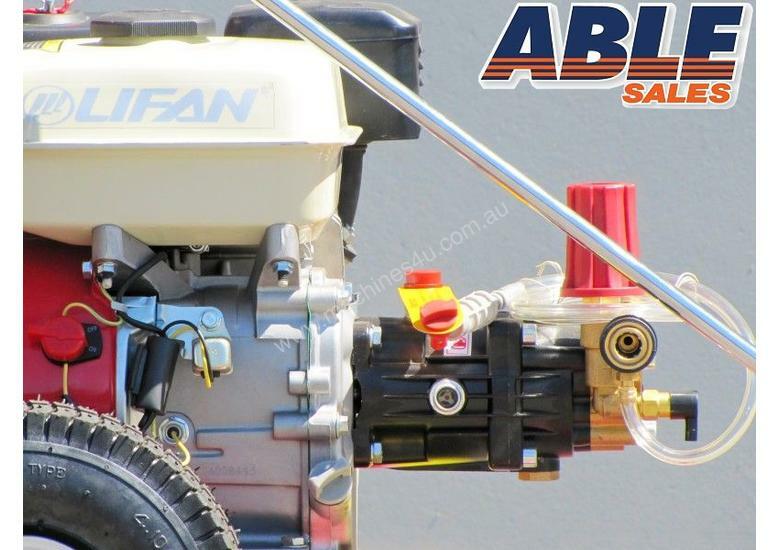 This unit has a variety of uses from cleaning paving and driveways to lifting the old paving paint from your front verandah or any task you require. 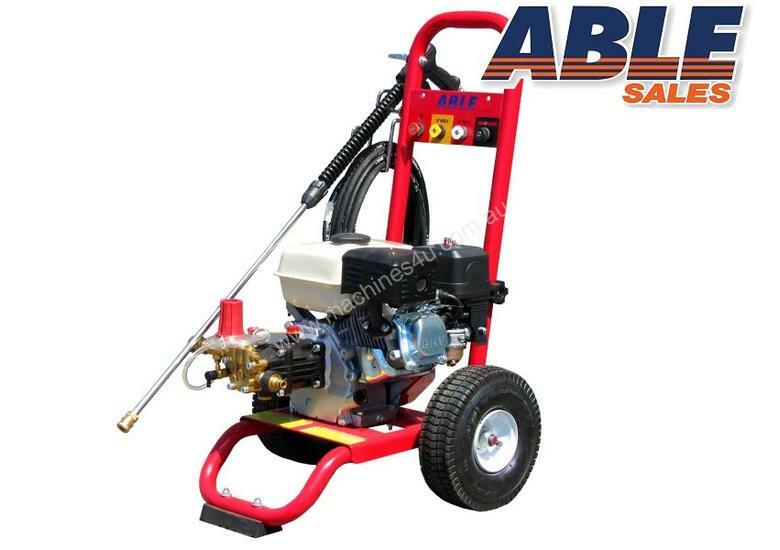 There is also a very convenient detergent or degreaser pickup, assisting to clean what you wishThe pressure washer is mounted on an easy to move trolley making suitable for any person to be move it where ever they wish.